Lots of photos for you lovelies today. I had an amazing birthday weekend. Wicked was just out of this world, I absolutely loved it. I filled up during Defying Gravity. That never happens. How does she sing like that?? London was just fabulous as always and I got some lovely birthday presents. I sold my Louis Vuitton Damier Azur Speedy and used the money from that combined with my birthday money to buy myself a new bag! I opted for the Miu Miu Vitello Lux or as its also known the "Bow Bag" Its amazing. Like UH-MAZE-ING. I'll do a separate post with better pictures of the bag this week. A bag like that deserves a post all of its own haha! I got some gorgeous rings from my Mum & Dad and Adams Brother and Girlfriend. Mum & Dad bought me the Silver one with the Black Spinel Stone and Gareth and Nicola bought me the dark blue stone ring from Topshop. Karen & Gaz contributed to my bag and also bought me this adorable bracelet and strawberry necklace. LOVE. We stayed at the Thistle in Victoria which was 5 minutes away from the theatre. Although the room wasn't to our taste it was lovely and spacious, the staff were friendly and the breakfast was delicious. We thought it was amazing when we got there that our room was the "John Peel Suite" This just happens to be my brothers name, how much of a coincidence is that? And no they didn't know Peel was my last ame because we booked it under Adams name. Lots of pics from London for you now. Then once I got home my family had got me possibly the best cake ever! A Belle from Beauty and the Beast Cake! What 23 year old doesn't love a Disney cake? The only way this could have been topped is if it was Cinderella haha! I absolutely love the bag, I think it's my number one wishlist bag! Also - is the indian restaurant Akbars? I went to the Newcastle one at the weekend and recognise the naan holders! 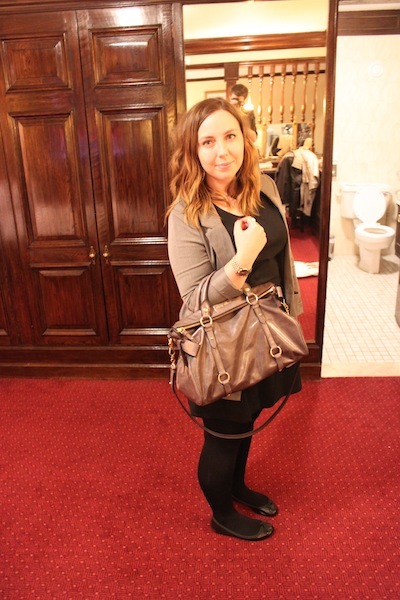 love the bag being in all the photos, your boyfriend is very good to help document the purchase! Wow sounds like you had a fab birthday! 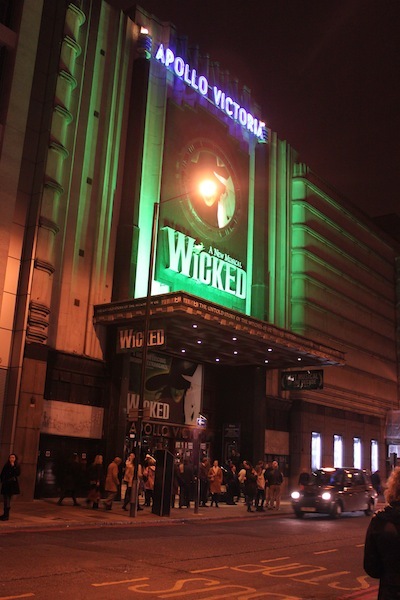 I'm so desperate to see Wicked-I've not heard a bad word about the show, plus my friend is currently staring in it so have to go see it soon! Such a wonderful post, it looks like you had a fabulous birthday! Your new bag is AMAZING, I'm very jealous! I'd love to see Wicked too. The only downside is that I'm now feeling crazy homesick for London!! Love love love that bag so jealous! Great purchase! The best Miu Miu big bag I think. I have the Matelasse Clutch from Miu Miu and I love that bag. Check it out on my blog. happy belated birthday! Looks like you had such a great time, the pictures are great! The bag is super amazing! Sounds like so much fun. I love all the jewelry and that cake is freaking adorable! Beautiful bag! Happy belated birthday! The bag looks gorgeous, jelooous! Looks like you had an amazing birthday! Looks like you had a fab weekend. You now Own my dream bag. I am very jealous! Really looking forward to your post on it! Miu Miu = Definite win!